Florence E. Klitz, age 93 of Appleton, formerly of the Town of Pella, Shawano County, passed into Heaven Monday afternoon, December 3, 2018 at Rennes Health & Rehabilitation Center in Appleton. Florence was born on September 18, 1925 in Shawano as the daughter of the late Carl and Etta (Krieser) Henschel. She was baptized in her parents home in Shawano on October 18, 1925 and was later confirmed at Christus Lutheran Church in Clintonville on May 26, 1940. Florence started grade school at Lake Michael School in the Town of Dupont, Waupaca County and finished her schooling at Evergreen School in the Town of Matteson, Waupaca County which was located on Hwy 156 near where she grew up. She worked in Neenah for 2 winters during her younger years as a mother’s helper during which time she met Roland Klitz of Pella at a dance at Caroline Ballroom. They were united in marriage on September 30, 1944 at Christus Lutheran Church in Clintonville. The couple worked on a local farm for a short time before returning to the Klitz family homestead in Pella where they farmed ever since. Roland preceded his wife in death on December 21, 1980. Florence continued her residence on the homestead until 2014 when she moved to Appleton where she spent the past 4 years in assisted living and nursing care facilities. 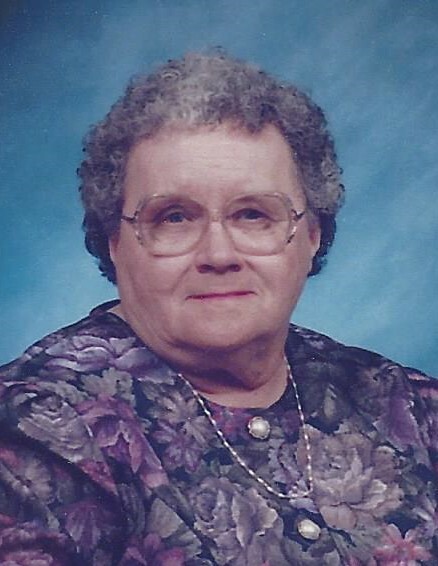 Florence was a faithful member of Bethlehem Lutheran Church in Pella since her marriage to Roland. She had a strong faith in her Lord and enjoyed teaching Sunday School, working with the Ladies Group, and baking for church dinners. Not one to be afraid of a little work, Florence could often be found helping Roland on the farm as well as making maple syrup over the years. She enjoyed reading, fishing with her fly rod and cane pole, teaching her grandchildren how to fish, gardening, canning, sharing her produce with family and friends, berry & apple picking, and picking and selling cucumbers. She loved to bake and made the best apple pies and frosted Christmas cookies. Florence had a deep love for her family and would do anything for them. Her presence in this life will certainly be missed. Her Children: James (Sherry) Klitz, Ronald (Sandra) Klitz, Debra (Allan) Vetting, & Judy (James) Hildeman. Grandchildren: David (Jill) Klitz, Kevin (Stacie) Klitz, Christine Klitz, Elizabeth (John) Schultz, Jacqueline (Brian) Haack, Elizabeth (Nathan) Kassulke, Ryan (Emily) Borgwardt, Ross (Christine) Borgwardt, Sarah (Jon) McElroy, Matthew (Fiancee; Amanda Skrzypchak) Hildeman, Nathan (Alivia) Hildeman, & Rachel (Sean Garvin) Hildeman. Sisters: Margaret Strohmeyer & Arlene Retza. Sisters-in-law: Beatrice & Elaine Klitz. Florence was preceded in death by her parents, her husband Roland, and sisters; Leila Wollenberg & Ruth Koeller. Florence’s family would like to thank the entire staff at Rennes; especially nurses Jillian, Nicole, & Judy as well as Kayla from AsceraCare Hospice for the wonderful care they provided during Florence’s stay.